Our broad range of programs/courses, made possible largely via the Doyle Engaging Difference Program, are designed to prepare students to negotiate a world marked by political, cultural, and religious diversity. 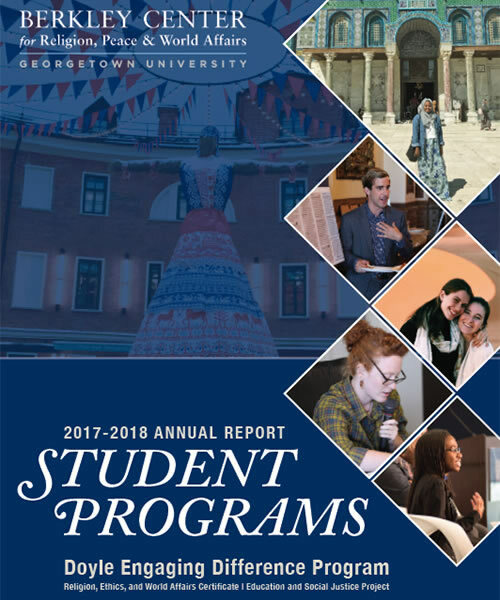 This report highlights the center’s student programs during the 2017-2018 academic year. During the 2017-2018 academic year our research, teaching, and outreach at the center explored the religious dimension of the rise in the number of displaced persons, the threat posed by climate change, growing nuclear tensions, race and the far-right, and other international developments.